What is the Home Possible Loan Program and How You Can Take Advantage with a Purchase and Refinance Home Loan? Freddie Mac Home Possible Mortgages offer outstanding flexibility and options to meet a variety of borrowers’ needs. Home Possible Advantage offers more flexibility for maximum financing. This offering adopts the responsible and affordable flexibilities of Home Possible, but with additional requirements. The minimum down payment of 3 percent allowed for Home Possible Advantage.  I welcome the opportunity to explore this program with you if you are looking to refinance or purchase a home utilizing the Freddie Mac Home Possible and Home Possible Advantage Program. Please complete the short inquiry form below to start the home loan process.